Ryan just completed our home inspection this morning for our first home purchase. He was very professional and knowledgeable on every aspect of the inspection. He did a very thorough job and was very helpful. These guys are great to work with and were super fast and affordable. We had the home inspected within a couple days of our offer being accepted. I would recommend these guys to anyone needing a home inspection. Great work guys and thank you for serving our communities. Absolutely loved how thorough Ron was during the inspection, answering all of my questions and documenting everything. Really put my mind at ease knowing he looked at the safety features of the home as much as the structural aspects. Very easy to talk with, and the best experience I’ve had with an inspection/inspector! Ron and his partner Todd got all the reports back to me quickly as well! The guys at First-In really know their stuff and always put my clients best interest as a top priority at each inspection. They are the number one Home Inspectors I would highly recommend in our market, thanks for always doing such a great job guys! Looking forward to continuing to working together in the future. Ron was SO thorough in our home inspection, took his time and gave us great feedback and insight. I would highly recommend using them to anyone in need of inspection! Ryan was very thorough and professional. He was also very personable. Overall it was a very good and through inspection. The report was also very through, and it included pictures along with the written text. Service and professionalism is top-notch. Their inspections are very thorough, informative and the inspection report is complete and easy to follow. I have used their service 3 times now, each and every time was a perfect experience. Thank you Ryan!! Ryan & Ron were both always very professional to talk to & Ryan did a great job at our home inspection!! Very thorough, knowledgeable, & extremely helpful! Great customer service. Ron did a very thorough job on my home inspection and I would highly recommend him to my friends and family! These guys were great! Super quick and easy to set up an appointment. They were able to work with our realtor to set-up the radon test in advance so we could have the results on inspection day with our other results. VERY thorough and professional. Highly recommend! The inspector was more than I expected! He was early and waiting on me to arrive. He was very knowledgeable, polite and accommodating. He encouraged me to ask questions and explained everything to me in an understanding way. I would definitely refer him and thi company!! I wish I could give 10 stars. Ryan was awesome! I set up an inspection the same week I called and had my results emailed to me within minutes of him going over them with me. I would recommend them to anyone. Ron did a great job, and made the process very easy. He explained his findings right after he did the inspection, which allowed us to make educated decisions on our upcoming purchase. I had my inspection done last Friday. Ron was very on time thorough . The charge was very reasonable. I will definitely recommend their services! First-In did an excellent job! They were able to come next day to do my inspection. Very professional, very thorough. Above and beyond our expectations! Highly recommended!! First-in was wonderful! Transparent company, Ryan was super friendly and you could tell he was very knowledgeable. Would recommend to anyone looking to get a home inspection! If you are looking for a home inspection company that will go above and beyond the call of duty, First-In Home Inspection is your answer. They are always on time, professional, diligent and most of all knowledgeable. No matter if your are selling your home with a pre-inspection or buying with a general home inspection, they will answer any and all questions you may have. 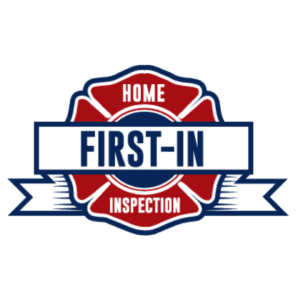 First In Home inspections are very good and my inspector Mr. Ryan was very informative, polite and a very patient understanding people perso.